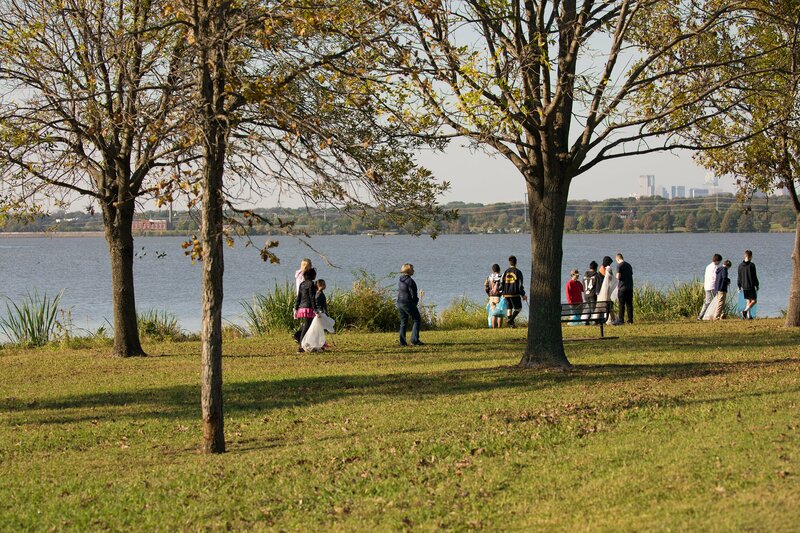 Let’s Keep White Rock Lake Park Beautiful! Join us for our monthly Second Saturday Shoreline Spruce Up. Help us keep the park looking great and safe for kids, pets, wildlife and adults alike. We provide all the supplies you need! Get your friends and colleagues together and enjoy a nice day in the park and give back to the community at the same time. Snacks are provided so be sure and grab some Starbucks coffee, orange juice or chocolate milk from Oak Farms Dairy, goodies from Another Broken Egg, or Kind bars before you head out. We’ll also have plenty of Rain Fresh bottled water to keep you hydrated! Please help us be good neighbors! The parking spaces in front of BBVA Compass Bank are reserved for bank customers. Please be courteous and leave those spots free for bank customers. Have a big group coming? Let us know and we can speed up the check-in process for you!